Part 1 was awesome. Guesses for what will be in part 2? Discussion in 'Model 3' started by lianregnif, Apr 2, 2016. 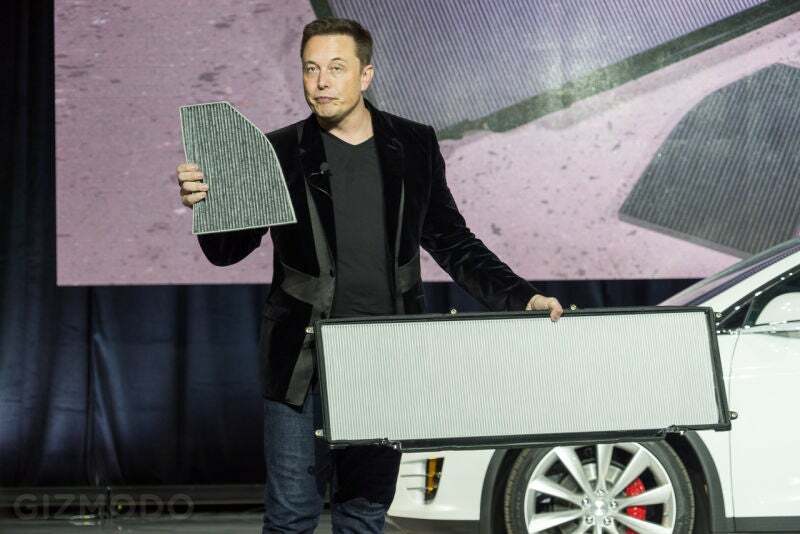 Elon said the unveil of the model 3 is split into two parts. Part 2 would be closer to production. Any predictions of what will be announced for part 2? What is Tesla's upcoming 'under your nose' announcement? Aluminum-Air supplemental battery in the frunk was still my favorite speculation from that bunch... (Duck). Aside from the obvious greater range and faster acceleration than promised... I'm going with at least lv 3 autonomy or fully autonomous driving (after it's introduced in newest S and X). Then again it's Tesla, so they could very well add something completely unheard of. Autopilot 2.0 - Pathway to full autonomous driving. Elon said that full autonomous was two years away during an interview with Fortune in December 2015. This lines up almost exactly with the ship date of the Model 3. I think the lack of a driver dashboard and HUD is a teaser to this expanded functionality. Eventually, Model 3 owners may even be able to remove the steering wheel and pedals, such that the cabin is symmetrical. Home Wall Connector/Supercharger 2.0 - The automatic "snake" charging cable to complete full autonomous parking and charging. Potentially, even faster supercharging times. Smartphone/Infotainment Integration - Speaking in Hong Kong, Elon said they are pivoting away from a Tesla SDK, and moving more towards app mirroring. I envision an integration like Apple CarPlay and Android Auto. This could be announced earlier at a Model S update event. Tesla Autonomous Valet - The ability to summon your Model 3 from far distances. For example, if one travels to an all-day meeting, the Model 3 could drive itself to the nearest Supercharger, re-charge, and park. Then when he/she is ready to leave the meeting, he/she can summon the Model 3 from the Supercharger station. The biggest hurdle to this use case will be regulatory since the car will be operating without any human passenger. Obviously they will have bigger battery versions, faster versions, lighting/trim upgrades, etc... But the "next level" stuff will really have to be about the Auto Pilot and the Battery I think. Everything else, while nice, isnt really "disrupting" (and I know all the kids like to disrupt, these days). In fact, its kind of inevitable. I know everyone lost their *sugar* about the P100D badge image (and I get why)... But was there ever a doubt that it was coming? Its only a matter of when, really. Then again this really could just be about how much range they can get out of the biggest battery option, and how ludicrous the acceleration will be compared to other cars in its class. Given the roadster 3.0 got some impressive range, this car could really take EV range to the next level and make it the car that finally ends the discussion. 350 miles with a 10 minutes to 80% SOC would be lights out for almost any other car in its price range, why even bother with an ICE at that point? Model Y AND fully autonomous aka Autopilot 2. Judging by Elon's tweets, he was expecting more preorders from part 2 unveil than part 1. So it got to be a hardware and software event. $38k Model Y would destroy the CUV market. It will eat the lunch of RAV 4, CRV, Q5, X3 and Grand Cherokee. Guesses for what will be in part 2? What about a “bioweapon defense mode"! >> which creates positive pressure inside the cabin to keep outside particles at bay. - Model X air conditioning features/filter. I don't foresee Tesla announcing a new car model until they have full production underway to fulfill reservations. All versions of Model 3 have the SAME battery. Sure, Tesla will just give away 10kWh per vehicle, in a few hounded thousand cars per year with basic battery. Makes perfect business case bleeding 2k per every $35k car sold. After all it is just $2k x 100k cars = $200M. Peanuts. It's not a bad idea. And Tesla will not give away anything. Less manufacturing and maintenance cost and the price for the upgrade will largely paid for the "free unused" kWh. And how many of the base version users will be tempted to buy the upgrade during the life of their car? Including a larger battery and limiting usage via software is fine as a short-term stopgap measure. They did this for the few people who ordered an S40, and they're doing it again for the people ordering an S70 while they transition the entry level S to an S75. But there is a price to pay in profit margin. And the battery continues to be the most expensive part of an electric vehicle. So no, I don't see them software-limiting the Model 3's entry-level battery. I think they'll just have two battery capacity options. Reasoning by analogy, ultimate fail. The odds of the battery being larger than order, but software enabled, will depend on the percentage that they think will go for it. If they think that in the first 5 years of usage, 90% of people will enable it, then it's probably worth it. Who knows what their assumptions are. Elon's expecting the average to be $42k. So that's $2k to unlock the extra battery range, $2k to enable Supercharging and $3k to enable full Autopilot or whatever. More to the point, would GM or BMW or Nissan have an answer for this sort of offer? Market dominance sounds like a pretty good business case to me. I think people way overestimate the cost savings of reducing battery configurations. The battery is the most expensive component of the car, and doing this would absolutely destroy margins.